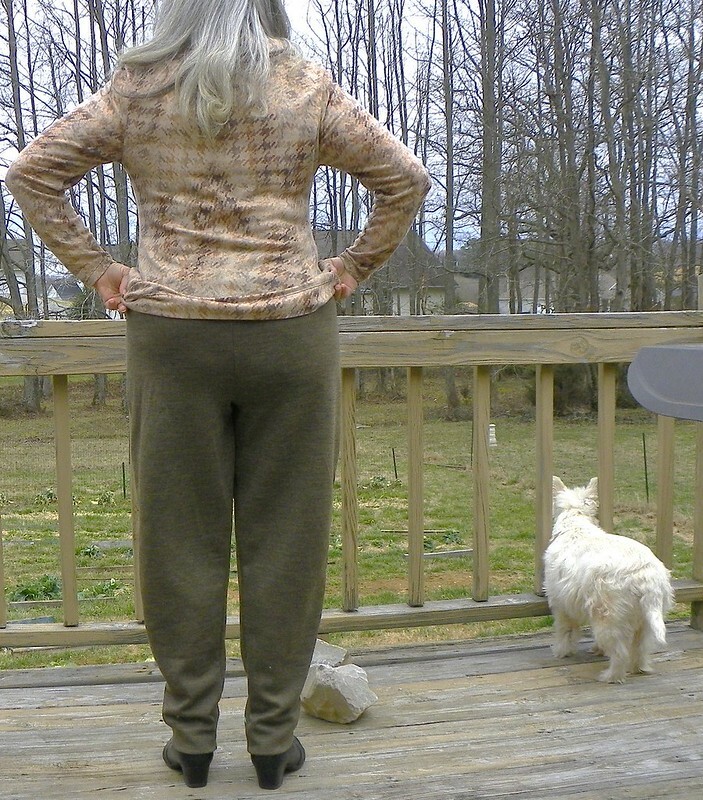 Jan 21, at the same time that I cut my gray Wool Double Knit Pants from my custom pattern, I also cut a olive brown double knit that is a bit lighter in weight. Now that I’ve struggled through the fitting of the first pair, it is apparent that a slim-legged pant is not the right pattern for knits without lycra and to attempt it in a lighter weight would be ridiculous. Both fabrics are luscious and from GorgeousFabrics.com but I only got 3 yards each so I couldn’t re-cut a new style. I laid the pattern pieces carefully over the cut pieces, matching the grain lines, and found that the front piece needed 2″ more inches the full length of the pant and the back only needed about 1.5″ and that was just at the waist. I spliced in an extra strip on the side seams that the front needed and decided to take a chance on reducing the 3 darts in the back of the pant and steal more from from the 5/8″ seams. I love this pattern! 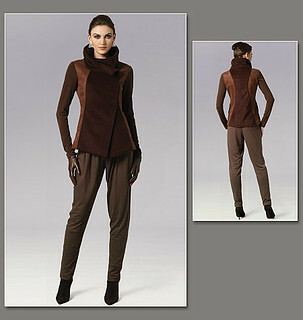 It’s easy to sew in the double knit wool, has great instructions and a lovely, comfortable cut. I haven’t hemmed them yet, do you think the length is about right? It’s true: the back did need a bit of extra width, every lump and bump shows horrifically with this lighter weight fabric. So, you all are spared yet another “Why would she post THAT shot” picture this go-round. 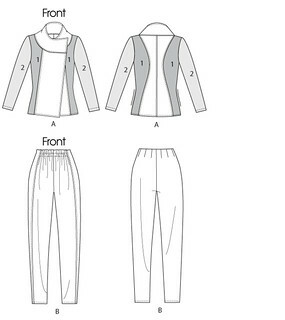 I’ll be starting on the pattern’s jacket and a cropped shirt to go with these pants this weekend. Did I mention that I love these pants??!!! Wish I could wear higher heels with them but that’s not possible any more for me. 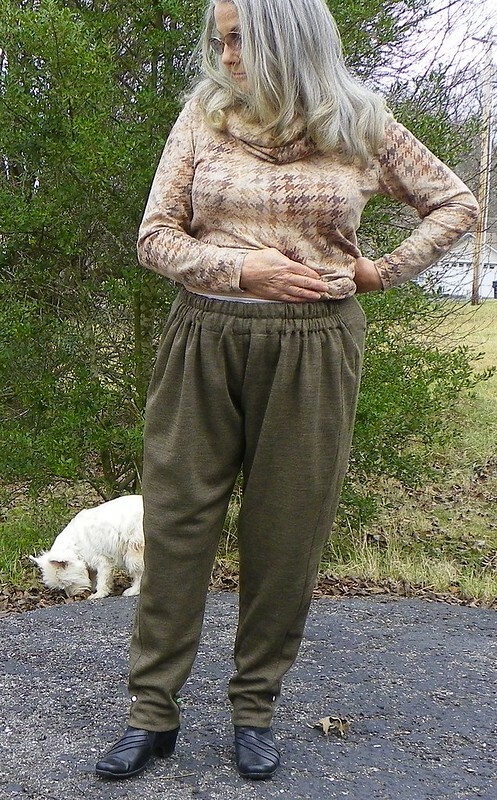 Posted in Fabric, Pattern Reviews, Sewing. Bookmark the permalink. I like the length and the back fit too. Thanks Faye, I think these pants would look great on you! I changed the crotch curve so much, though. Maybe I should blog about it. I agree with Faye’s comment. BTW, I think I have shoes like you., if not, very similar. Narrow size? No, I wear a wide shoe, Joan. I haven’t been able to wear these in the past few years because of foot troubles. I was surprised to get them on the other day!